It is with great pleasure that we introduce our Women’s Premier League team for season 2016. The season kicks off on Friday the 18th of November with a night match (start time 6.30pm) at Royal South Yarra Lawn Tennis Club. Our team, the reigning premiers, will have a tough start against last years finalists Liston. The five-match home and away season will continue the same weekend with a match up against Dingley TC on Sunday the 2oth. A reminder that the club will be hosting a Super Round on Sunday December the 4th when all Men’s and Women’s matches will be at the club. Will give you more information as the date gets closer. Jaimee is currently ranked 450 in the world on the WTA tour and is still just 17 years of age. She started training with Vida Tennis at age 6 and is now also in the Tennis Australia High Performance program. Zoe has been a long term team member of the MCC Premier League Team. 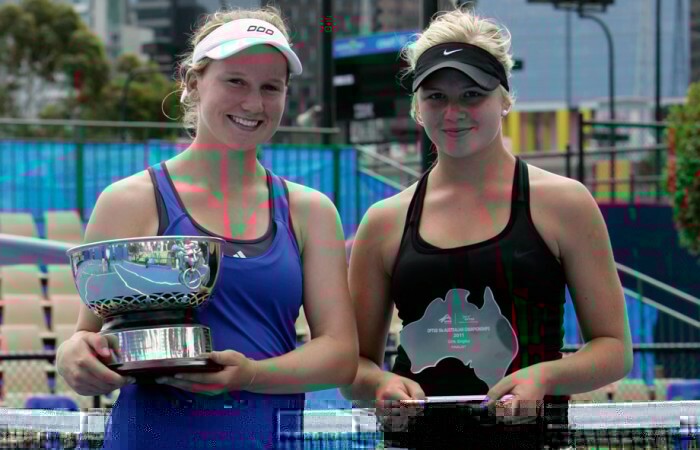 Zoe, a country girl from Ballarat, won her first Pro Circuit title in 2015 as an 18 year old and reached a career high ranking of 451 in the world. Injury has hampered her ranking climb in 2016 but once back to fully fit Zoe has the game to progress much further. Zoe is coached by Michael Logarzo, who has been a great mentor for her during the transition from junior to senior tennis. Gen was another team member who played in the winning MCC Premier League team earlier in the year. This campaign Gen will be our team Captain and has been instrumental in organising players and team activities. In 2016 Gen has played in Pro Tour events around Australia and has increased her Australian ranking to 73. Gen had a great college Tennis career in the US attending the University of Central Florida. 2016 has seen Mary Ann return to the Pro Circuit tour in events in Australia, Thailand, Romania, and Austria. She has moved her ranking up to 75 is Australia and achieved a world WTA ranking in doubles. 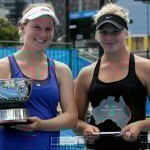 Her junior career saw her ranked very highly in Australia and compete in the Australian Open Juniors. Giorgie is new to our team and is currently ranked 82 in Australia. At age 19 she has been competing on the Australian Pro Circuit events in 2016. Jess is currently ranked 84 in Australia and will be making the transition into senior tennis over the coming years while developing her game in College. Katherine is a former Thai-New Zealand player who now resides in Melbourne. On 3 October 2011, she reached her best singles ranking of world number 576 on the WTA tour. Katherine has held a world ranking for more than 6 years and her favourite surface is hard court. She has been a member of our club for several years and can often be seen practicing with her father and coach Tom. Eliza Long was a 16&U National Champion before taking up a US College position at a top 10 University. 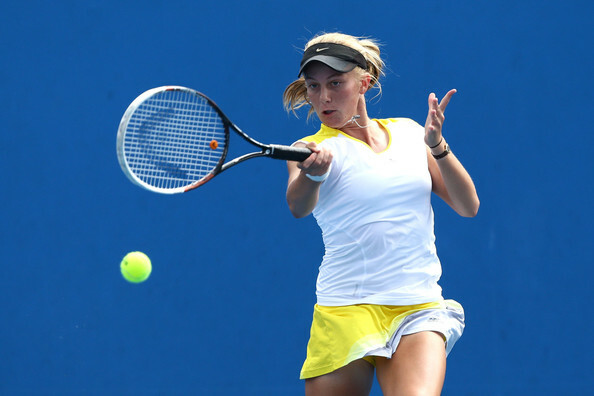 Before making the decision to go to college she achieved a world WTA ranking of 970 in 2012 at age 17 and competed in the Australia Open Juniors multiple times. Eliza has a great connection with our club having played Premier League for the MCC Tennis Section is past years as well as winning the Glen Iris Valley Club Championships in 2012. She also has been coached by our club’s Head coach Kane Dewhurst since the age of 9. Georgiana started tennis at the age of 6 and first achieved a world WTA ranking in 2014. During her junior career she played in the Australian Open Junior event and reach a world ranking high of 106. Now aged 21 Georgiana will be a key member of our Premier League team.